One of the main reasons that people call for a plumber is because things don’t go down the drain. This could be food in the kitchen sink (Make sure you have a garbage disposal first!) or waste that won’t go down the toilet drain. And when it happens at multiple places at once, it can be both puzzling and very irritating. That’s when you should call John’s Plumbing & Pumps Inc for rooter service in Thurston County. We work county-wide and come to you with our team of plumbers that can work on everything from clogged drains to repiping your entire home. Can’t I just use Drano to take care of it? A lot of the times, you can use a drain cleaner you can buy from the local supermarket and that will take care of it. However, depending on the condition of your pipes, this may not be a good idea. Your typical chemical drain cleaner will use lye as the active ingredient, an element that speeds up the decomposing process. If you have a serious clog, pouring an abundance of Drano can be even worse because it will sit in the pipe until the clog is removed. But what about when that stubborn clog just won’t go away? You’re left with that stuff in your pipes until it does! For small clogs, a chemical cleaner usually won’t do much damage, but for full blockages, using it could have it eat through the pipes and cause even more damage! 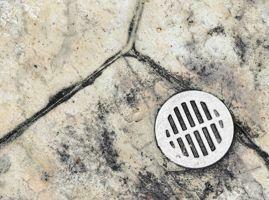 When is a good time to use a rooter? If you aren’t sure if you should call us for rooter service, there some instances when calling the professionals can actually end up saving you money in the long run. Full blockages. If water won’t go down, even if you leave it for several minutes, your pipes could be completely blocked. As mentioned above, chemical drain cleaners can cause more harm than good in these situations, but we have the right tools to take care of it. When multiple fixtures are affected at once. Normally, a clog will only affect a single toilet, sink, or tub. When multiple fixtures are affected at once, especially if it’s at different parts of the property, rooter service is likely your best option. If you know something went down there that won’t break down. Accidents happen. When something accidentally goes down the drain that isn’t supposed to, it can cause a clog. Whether it’s something valuable you want us to extract or something you just need out of the way, our plumbers can help. Choose us for rooter service in Thurston County and much more! 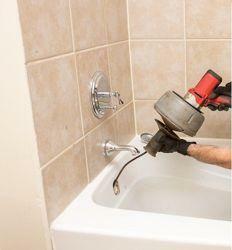 No matter what kind of plumbing problem you have, our plumbers will see it solved. Working on both residential and commercial properties, on septic systems and plumbing connected to public utilities, our team can do it all! Call us to put in a new well pump or to stop that annoying leak that you can’t stand any longer. We’re happy to help you however we can!